Barton Seaver’s work as a celebrated chef, sustainability advocate, public health educator, and prolific writer has given him technical expertise in, developed personal relationships within, and acquired systemic knowledge of all of the processes by which a fish in water becomes seafood on a plate. He began his career as an executive chef in Washington DC where he was recognized with three Rising Culinary Star and two Best New Restaurant awards, and the 2009 Esquire magazine Chef of the Year designation. His restaurant, Hook, was named by Bon Appétit magazine as one of the top ten eco-friendly restaurants in America, serving nearly 100 unique species of seafood in its first year. 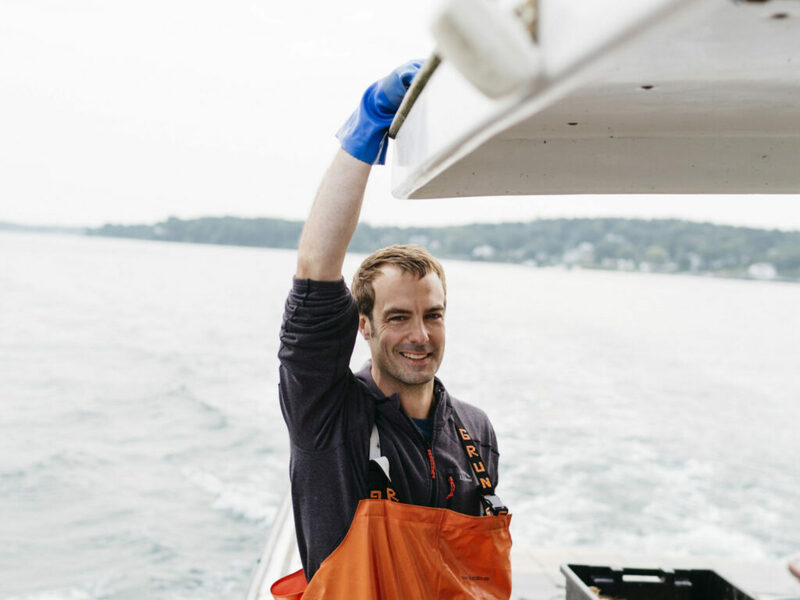 Since coming out from behind the stove to focus on sustainable seafood advocacy in 2010, Seaver has served as a National Geographic Fellow, a fellow at The New England Aquarium, a member of the United States Culinary Ambassador Corp., and the Director of the Sustainable Seafood and Health Initiative at the Center for Health and the Global Environment at the Harvard T.H. Chan School of Public Health. Seaver is an internationally recognized speaker on the topic of seafood and the author of seven books. His most recent book, American Seafood: Heritage, Culture & Cookery From Sea to Shining Sea, is an essential guide to more than 500 species, as well as a riveting history of one of our country’s most iconic industries. He lives in coastal Maine, a stone’s throw away from a working waterfront, with his wife, son and their 10 heritage chickens.